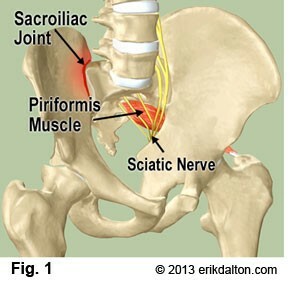 The pelvic girdle is comprised of three bones (the sacrum and the right and left ilium), and three joints (the right and left sacroiliac joints and the symphysis pubis). 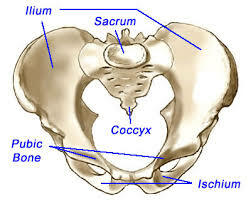 Pelvic girdle pain (PGP) includes pain experienced in and around the sacroiliac joint (SIJ) or symphysis pubis (SP). Commonly mistaken for “low back pain”, SIJ pain is felt across the back of the pelvis, but can also refer to the buttocks, down the back of the thigh, around the hips and the side of the waist. Discomfort can be primarily one-sided, or to both sides, and can switch sides as well. It is often described as a dull, low level ache that can be aggravated to a sharp pain with specific activities. SP pain can co-exist with SIJ pain, or can occur on it’s own. SP pain can be felt right at the joint, but can also be experienced in the groin. The intensity of pain can vary from mildly bothersome to debilitating. Aggravating activities include prolonged positioning (lying, sitting, standing, or walking “too long”) and also transitioning activities (rolling in bed, getting out of bed, getting out of a chair or off the floor, going up and down stairs or an incline, getting in and out of the car, standing on one leg, lifting, carrying). It can be frustrating to experience this pain, as it can seem like EVERYTHING can aggravate it. The onset of PGP can vary – it can begin in pregnancy, or there may be a history of PGP before pregnancy. If felt in pregnancy, this pain may be dismissed as a “normal” part of being pregnant. It is common to have PGP in pregnancy, but NOT normal. The pain can resolve after delivery, but it can also linger in the postpartum period. It is common for it to return in a subsequent pregnancy but often earlier in the pregnancy and at a higher intensity. Both men and women can experience this pain. Some forms of therapy (e.g. adjustments to the pelvis, massage, etc.) can bring relief, but the discomfort often returns after a few days, or even sooner. Traditional treatment for SP pain (keeping knees together, taking small steps) does not often work, and usually induces fear of movement, restricts activities of daily living and exercise choices. 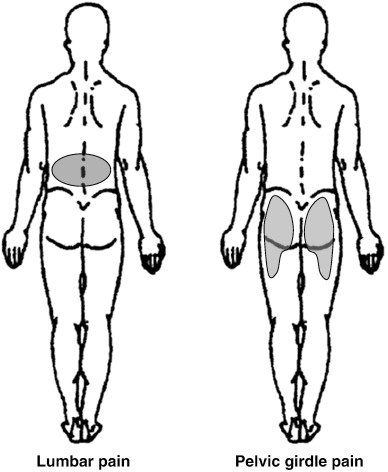 Underlying rationale for this treatment was based on the thought that the SP joint was separating or a diastasis was occurring. Research shows that this is not the case – the degree of separation of the SP joint does not correlate with the pain experienced. I can show you how to manage and bring relief to PGP with an exercise regimen that you can do as a home program. I will show you how to return to practical activities of daily living and exercise with minimal or no pain. Response to the treatment is usually a dramatic reduction in the pain experienced (or resolution), with flares occurring less frequently, less intensely and for a shorter duration. It is possible for symptoms to improve even as a pregnancy progresses.